Dr. Hafely began his pre-chiropractic education at Youngstown State University where he studied the basic sciences such as inorganic chemistry, organic chemistry, biology, along with basic physiology and anatomy courses. After completing his study there, he was accepted at Logan College of Chiropractic in St. Louis, MO. During his four years at Logan, courses included biochemistry, a major emphasis on anatomy and human physiology, X-ray, diagnosis, chiropractic adjusting techniques and patient care in the Logan College Public Clinic. 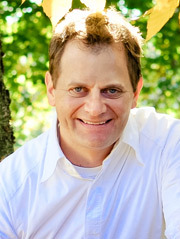 After graduating in 1999 Dr. Hafely returned to the Girard area to establish his practice. He has had his practice on Churchill Road since July of 2000. “We love skeptics,” smiles Dr. Hafely. “I still remember the concerns and apprehension I had when I went to the chiropractor for the first time. So we make it a point to explain everything in advance, answer questions and attempt to over communicate. Patients appreciate that.” It’s not unusual for our patients to have been to numerous other doctors, specialists, therapists, etc. and had every test imaginable prior to being seen in our office. We are often their last resort. These people make excellent chiropractic patients, because we have eliminated anything “medically” from being the problem and can focus from a chiropractic stand point and more often than not, get them better. 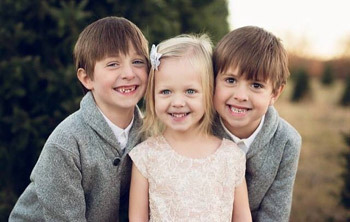 Dr. Christopher Hafely’s beautiful children! Dr. Hafely has three children, Brayden, Dominic, and Giavanna. His children have been under chiropractic care since birth. In his free time Dr. Hafely enjoys spending time with his family, coaching his kids in sports, golfing, and working in his yard. Thank you for visiting our site. I hope it can be a source of hope and healing. If you have any questions, please feel free to contact us!